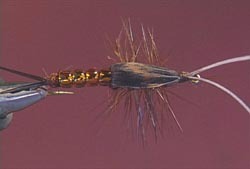 Because a trout's diet consists primarily of insects in their sub-surface nymph form, the Nymph is considered to be the most productive method of fly fishing. The nymph is one of the stages of the life of insects such as midges (Chironomids), mayflies, caddis flies, or the stone fly. The nymph is the stage in which they live under the surface of the water, along the stream beds or in the lake bottom. A good pattern for selective trout. 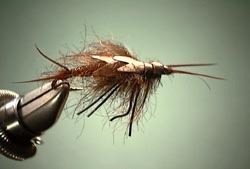 A proven fish catching nymph fly. 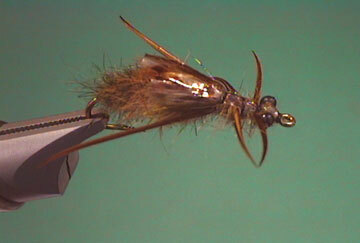 A simple little fly that works very well on most freestone rivers. A well served fly during high spring runoff. 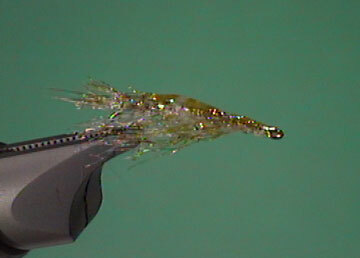 Classic nymph pattern using hare's ear. Hare's Ear Mayfly Nymph tied with a marabou tail. The larva stage of the Caddis Fly. Shane adds a little CDC to the venerable Prince Nymph making it a little more productive. 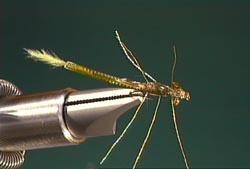 A very cool and realistic damsel fly imitation using an epoxy head and thorax.